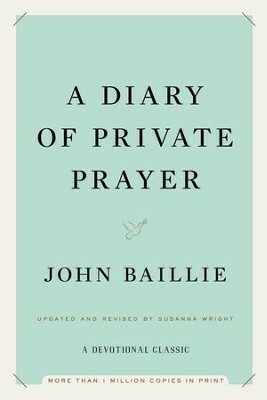 John Baillie was a teacher, lecturer, preacher, and author of many books, including Christian Devotion, The Place of Jesus Christ in Modern Christianity, and A Diary of Readings. He held academic posts in the UK, the US, and Canada; was Moderator of the General Assembly of the Church of Scotland; and President of the World Council of Churches. He died in 1960. Susanna Wright is a theologian dedicated to working and sharing her life with poor communities on the edge of society. She lives in London with her husband, a pastor in the Church of England, and their two children. Susanna Wright is a theologian dedicated to working and sharing her life with poor communities on the edge of society. She lives in London with her husband, a pastor in the Church of England, and their two children. I'm the author/artist and I want to review A Diary of Private Prayer - eBook.